The retaliation came in the form of passage of a last-minute amendment attached to the House appropriations bill that triggered heated debate. "You can boo all you want but let's call it for what it is," the Memphis representative said. 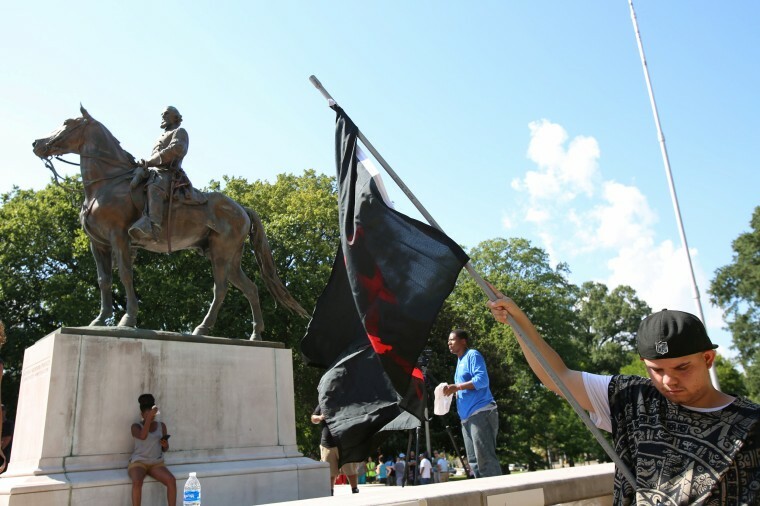 Last year the city of Memphis, which is majority black, was able to find a legal loophole to get rid of two Confederate statues and a bust by selling city parks to a nonprofit, which swiftly removed the monuments. Taken away under cover of darkness where statues of Confederate President Jefferson Davis and Nathan Bedford Forrest. Forrest was a general in the confederacy, a slave owner and a leader in the Ku Klux Klan. A bust of a Confederate soldier was also removed. Parkinson, who is African-American, said he was sick of how fellow lawmakers revered Forrest "as if he was God, as if he was an idol." "You remove money from a city because we removed your God from our grounds," Parkinson said. "And the law was very clear, and they got smart lawyers to figure out how to wiggle around the law, and I think that's what the issue is," said Rep. Gerald McCormick. Another Republican lawmaker said removing the monuments was erasing history, something he said ISIS does, and it was a bad action that deserved punishment. "Today is a demonstration that bad actions have bad consequences, and my only regret about this is it's not in the tune of millions of dollars," Rep. Andy Holt, of Dresden, said of the punishment. Another Memphis Democrat called the move to take away the money unchristian, hateful and unkind, and she said she was tired of lawmakers treating her city as if it wasn't part of the state. "I know some of you all would be happy if we gave the doggone part of the state to Arkansas," Rep. Raumesh Akbari, said. "Arkansas would gladly take us. But I'll tell you something: I don't support this, and I think if you do it you're being ugly. It's not fair. Memphis is a part of Tennessee. I didn't even realize how much y'all disliked Memphis till I got to this Legislature."